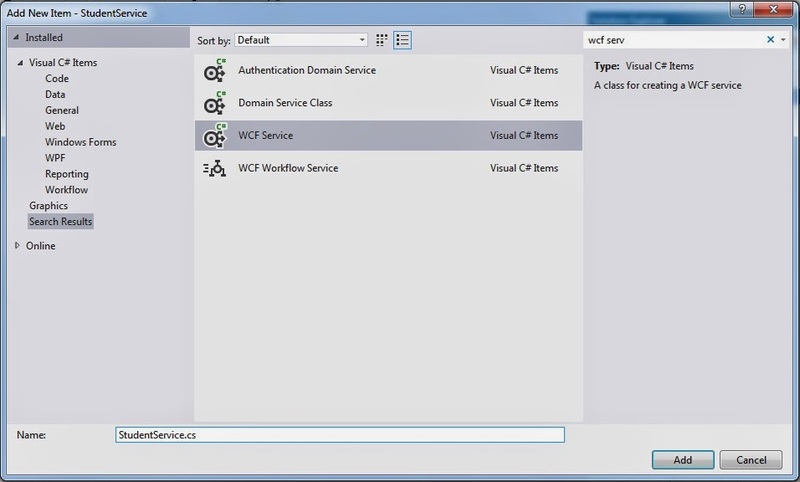 Here in this tutorial, you are going to follow a simple step by step approach to create a WCF Data Service. 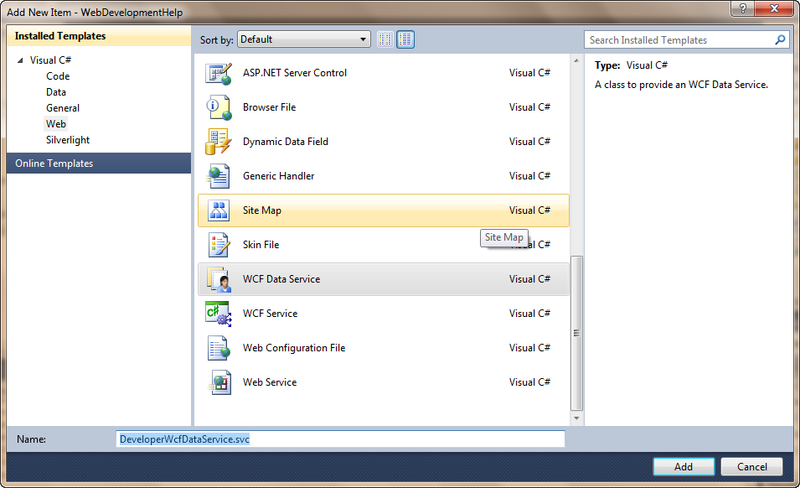 You need Visual Studio 2010 IDE & SQL Server in your machine as prerequisites for building WCF Data Service. It would be nice if you have the basic .NET knowledge. Let's get started! 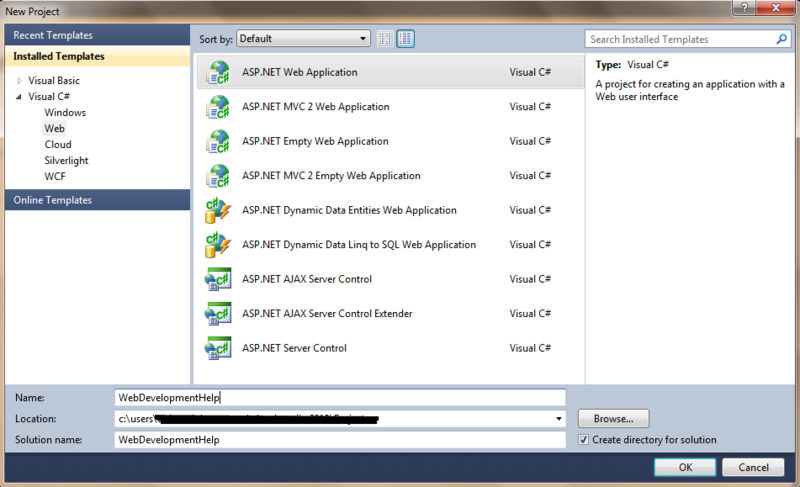 Open Visual studio 2010 and create a Web -> ASP.NET Web Application with a language of your choice, either C# or VB. I’ve used C# throughout the lesson. The reason why we are creating an ASP.NET Web application is because in order to host and consume the WCF Data Service we need a hosting and client application. Once the application is created, you need a DataModel where it is going to be served. So let’s create a SQL Server database. Right click on the App_Data -> Create SQL Server database and define the schema as below and let’s feed some values into our newly created database table. 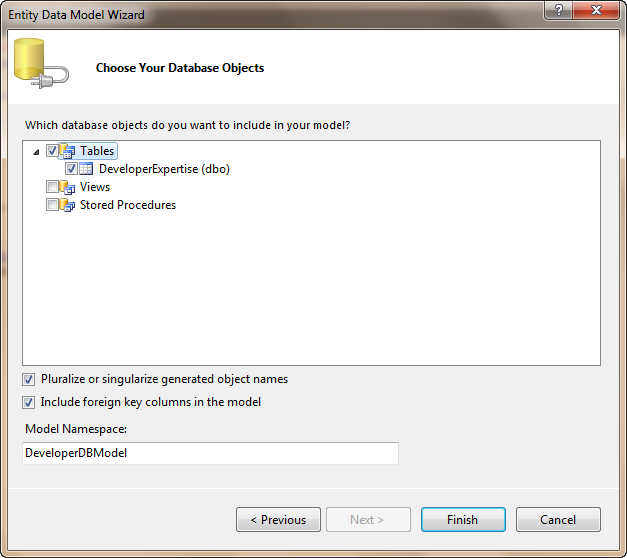 You have your Database and Table ready, now it’s time for you to create an Entity Data Model. 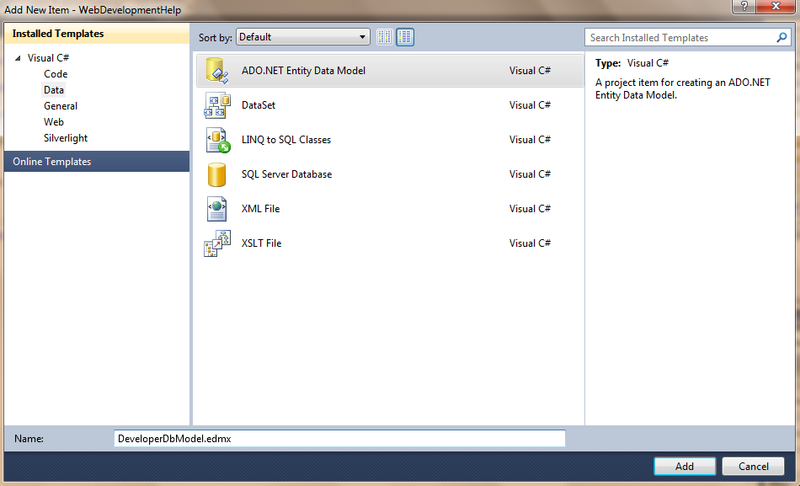 Right click on the project and Add New item -> Select ADO.NET Entity Data Model, a Wizard pops up, proceed further with it. Below screenshots helps you building a Model. You are good with our basic implementation in-order to adopt a WCF Data Service into our application. Ready to go. Let’s create a WCF Data Service. 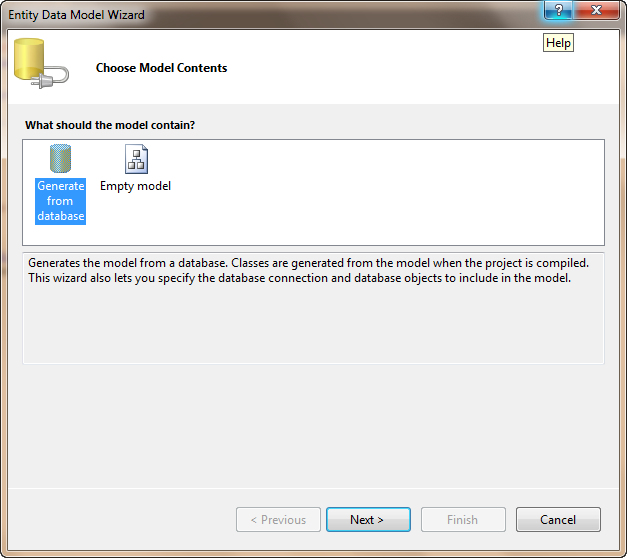 Right click on the Project -> Add New Item -> Select WCF Data Service. WCF creates us a basic template code for us to start with. Before moving forward, let us keep our Database Entity name handy. It can be found in Web.Config under Connection String. Here you have replaced the template code with EntityName and Set of rules which decides the rights of access. 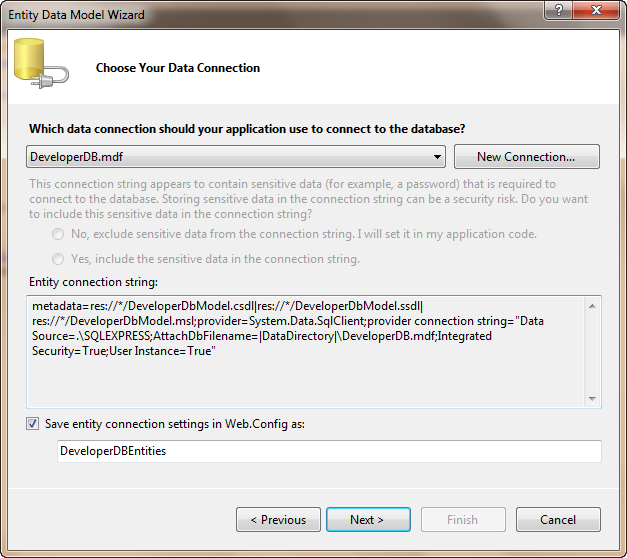 If you run the application or just hit F5 selecting the WCF Data Service file. 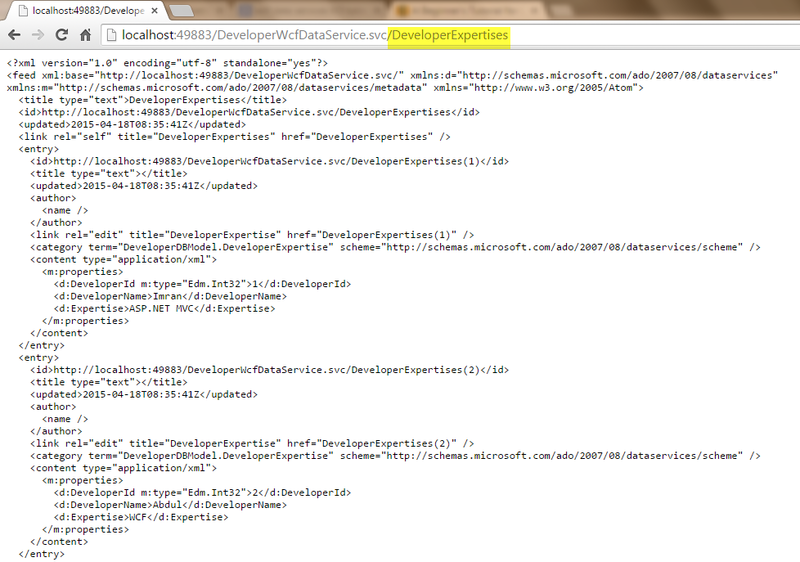 It opens up a browser and navigates us to http://localhost:/WCFDataFilename.svc . 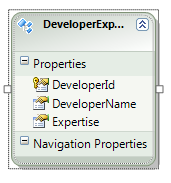 You can see a XML document with title holds to the Entity Name we created. Try our WCF with Free ASP.NET Hosting today and your account will be setup soon! You can also take advantage of our Windows & ASP.NET Hosting support with Unlimited Domain, Unlimited Bandwidth, Unlimited Disk Space, etc. You will not be charged a cent for trying our service for the next 3 days. Once your trial period is complete, you decide whether you'd like to continue. Self Hosting a WCF Service in a console application is comparatively easy as well as flexible because we can achieve the purpose by writing few lines of code. Let’s first Create a Simple WCF Service i.e. a StudentService and then host in a Console application. StudentService having service operation GetStudentInfo that takes StudentId as parameter and returns student name. 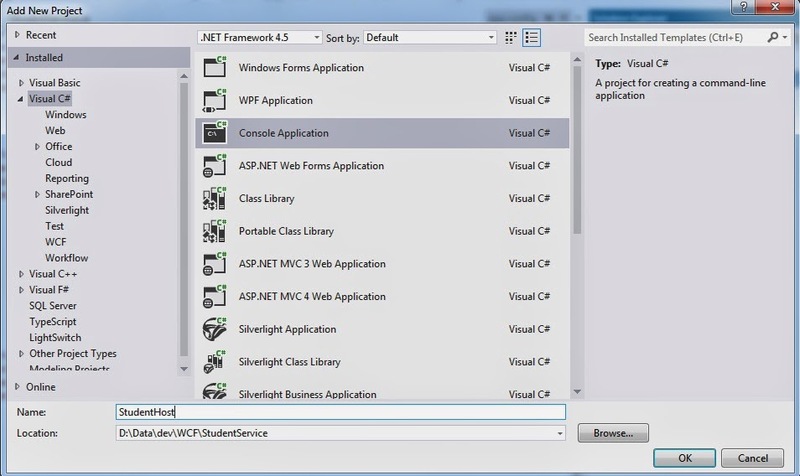 Open Visual Studio and Create a new Class Library Project, name it as “StudentService” and press “OK” button. 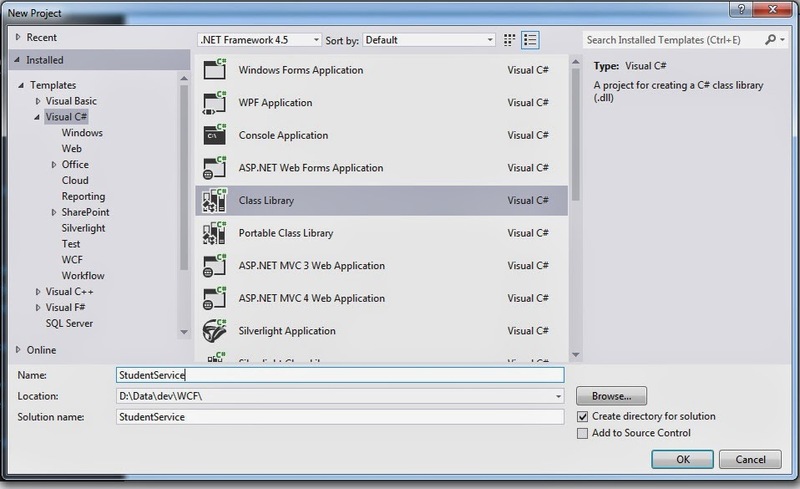 Then, right click on project and Add a new “WCF Service” to this Class Library Project. It will add Service Contract (IStudentService) and it’s implementation class (StudentService) to class library project. Also, it will add a reference to System.ServiceModel. In order to host this service in Console application, let’s add a new console application project “StudentHost” to this solution. Now, simply build the console application and run it after setting as startup project. You will see the following screen that shows our self-hosted WCF Service is running. Tracing mechanism in Windows Communication Foundation is based on the classes that resides in System.Diagnostic namespace. Important classes are Trace, TraceSource and TraceListener. For better understanding, i'm gonna explain to you step by step approach in this WCF Tutorial. And we need to set this tracing level to available options other than default OFF.